Have you been told you have arthritis? What about arthritis in your spine? Have you fooled yourself into believing you are doomed to a life of pain? If you’ve gotten an “arthritis” diagnosis, you’re going to read three facts below that may give you hope that things aren’t as bad as you may think. The first step in dealing with arthritis is taking your power back over the very word arthritis itself. Why don’t you dig in with me and get to the bottom of this? Fact #1: Arthritis means “joint inflammation.” It’s not a real diagnosis. The word arthritis is not a diagnosis, just a description. As another example, “cephalgia” is the medical term for “head pain.” That’s another description, also not a diagnosis. Doctor: Oh, you’ve acquired cephalgia. Patient: You’ve told me my symptoms in Latin. Thank you. Doctor: You’re welcome, that will be $179. If you’re thinking about Rheumatoid Arthritis (RA) or another disease of the immune system where the body attacks itself, you are right. RA is a real diagnosis based on real tests. RA is a real disease. And so are a few other “inflammatory arthritic” diseases, like psoriatic arthritis. This kind of arthritis isn’t what we’re discussing. Why are the joints inflamed? Now that is the question. At our office we talk about “the body being in lock down” or in a “stressed position.” This stress is one key source and cause of the symptom called arthritis. This stress causes a breakdown over time that doctors identify as “osteoarthritis” on an x-ray. Arthritis is just a symptom of another problem. Fact #2. You can see the results of joint inflammation on an x-ray. But you can’t see the pain. Many people get a diagnosis of arthritis after they’ve had an x-ray of their spine. There’s no doubt that you can see the results of long term joint inflammation on an x-ray. You can also have joints where the joint spaces have shrunk and gotten smaller. Everything looks compacted and squashed. 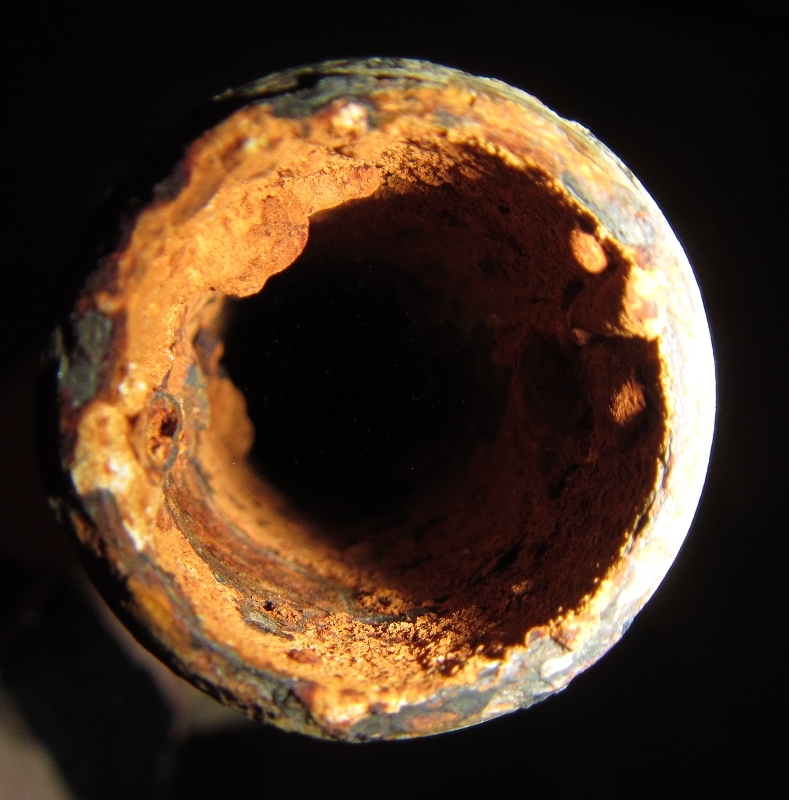 Arthritis in the spine often has calcium deposits, like minerals inside an old pipe. And all that means is you’ve had some body inflammation, trauma, or some poor body mechanics changing the shape of the joint over time, causing inflammation and breakdown. But that inflammation is in the past. It may still be happening right this instant. Or it might not be. The x-ray won’t tell you. Inflammation, though, is a chemical process that happens at the micro level in the body. You can’t actually see the inflammation happening in real time. Not on an x-ray anyway. Unless you’ve got a microscope implanted into your body. An x-ray captures what has happened in the past. Just like a telescope can see starlight traveling at us from the past. Not the present. Arthritis on an x-ray may explain pain you had in the past but not necessarily the pain you have now. Fact #3: Arthritis on an x-ray happens in people who don’t have pain. 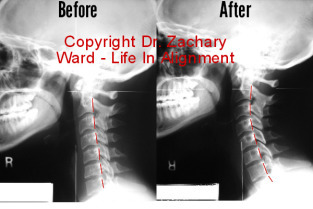 Here’s the short version of a long story: give a thousand people an x-ray or an MRI, and many of them will have all kinds of ugly changes in their spine. But many of them will have no pain. None. And zero knowledge that their spine looks as bad as it does. Here are just a few more details to help that fact sink in. 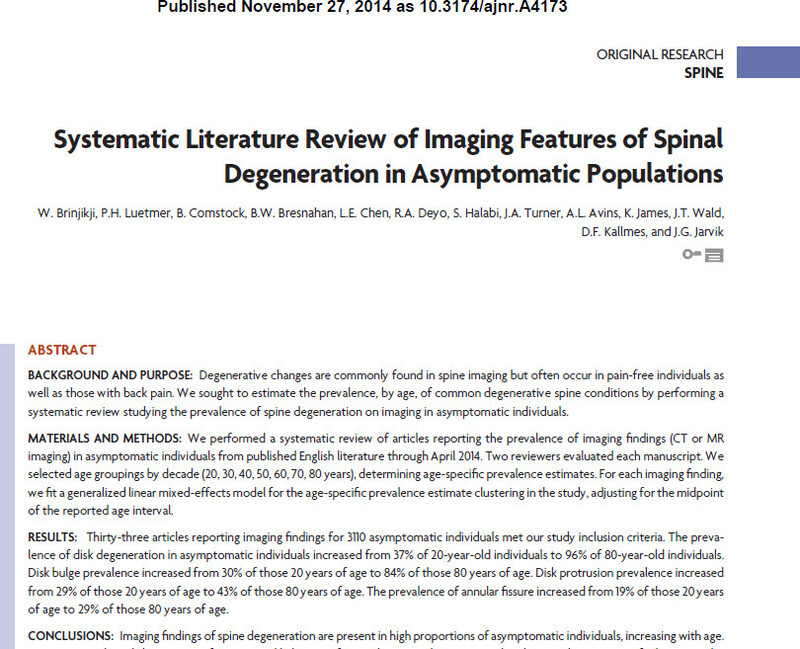 A recent study was done on arthritis on x-ray and MRI. They showed signs of arthritis on an x-ray, but they weren’t in pain! Now, disc degeneration may not be that bad…So let’s look at another sign that’s supposed to be incredibly painful: a disc protruding near the spine cord. Again, these are people with serious, serious stuff happening on an x-ray or an MRI. But they have no pain. So if you are afraid that you are going to be in pain forever because you have arthritis on an x-ray, remember this research. If arthritis on an x-ray caused pain then 96% of the elderly would be in constant pain. 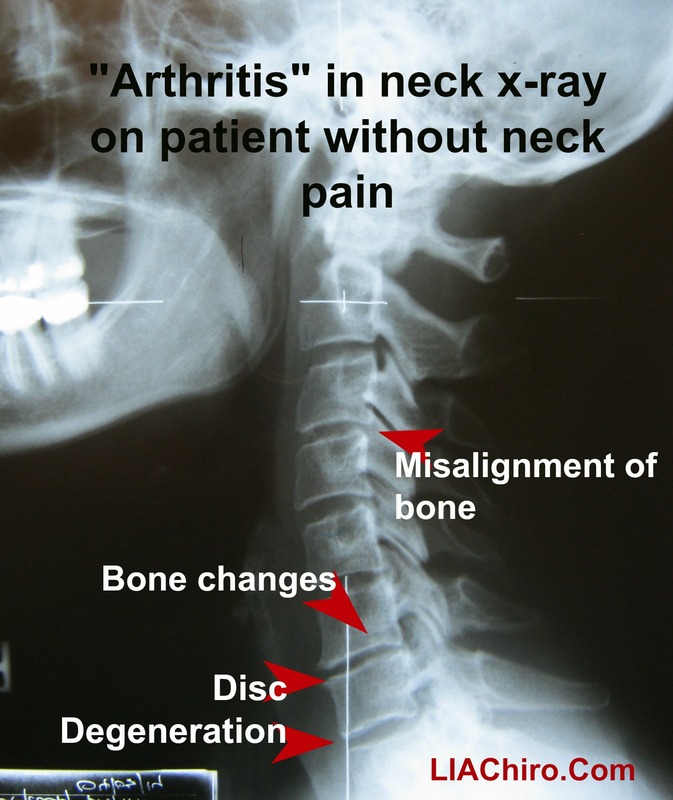 I have worked with plenty of patients who have “arthritis pain” with a lot of damage on their x-rays. Many see great improvements in their pain, sometimes in very short time. And their x-rays? They still have signs of arthritis. In other words, their pain wasn’t permanent because they had arthritis on an x-ray. Looking for a second opinion on your chronic pain situation in Metro-Detroit, use the contact form or call (248) 598-4002.